The morning session of the second day of the 10th World Conference began with uplifting devotional songs by international Sai musicians and a soulful rendition of the theme song, Love is the source, the path and the goal. 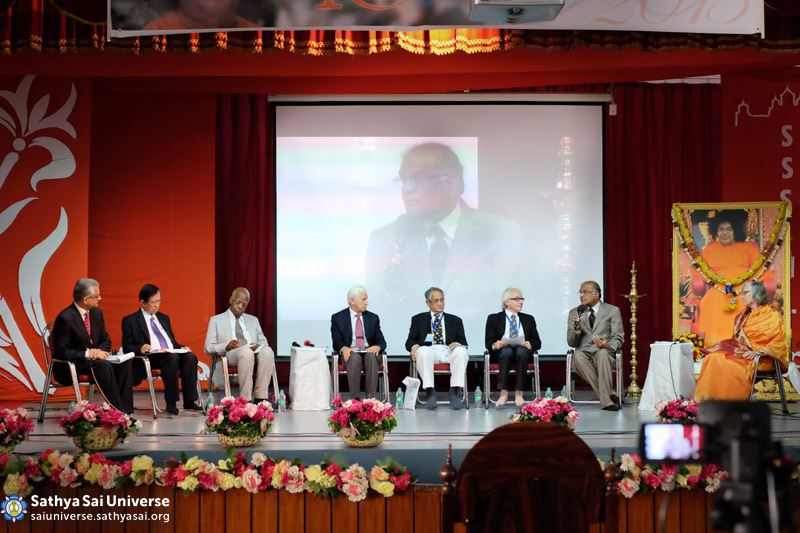 In his keynote address, Dr. William Harvey, member of the Prasanthi Council, reminded delegates of the immense power of Bhagawan’s name and the unlimited potential of the Sathya Sai International Organisation to usher in an era of world peace, prosperity and harmony. 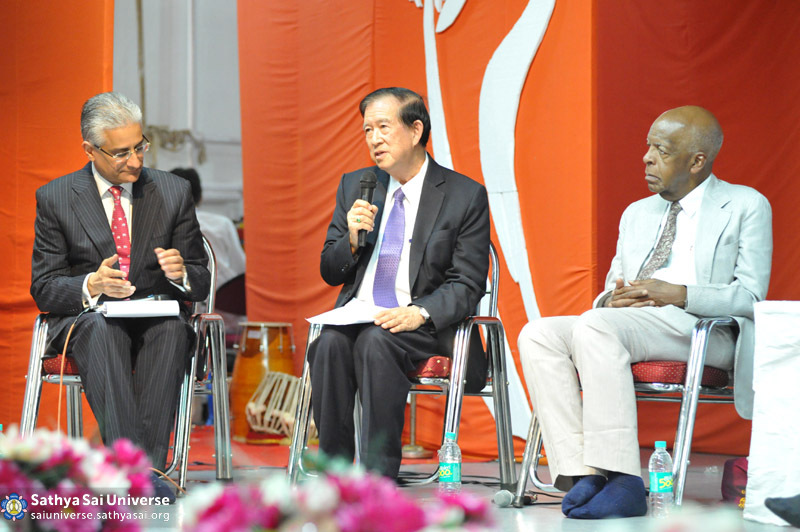 Four outstanding Sathya Sai speakers shared their personal stories of transformation through love. 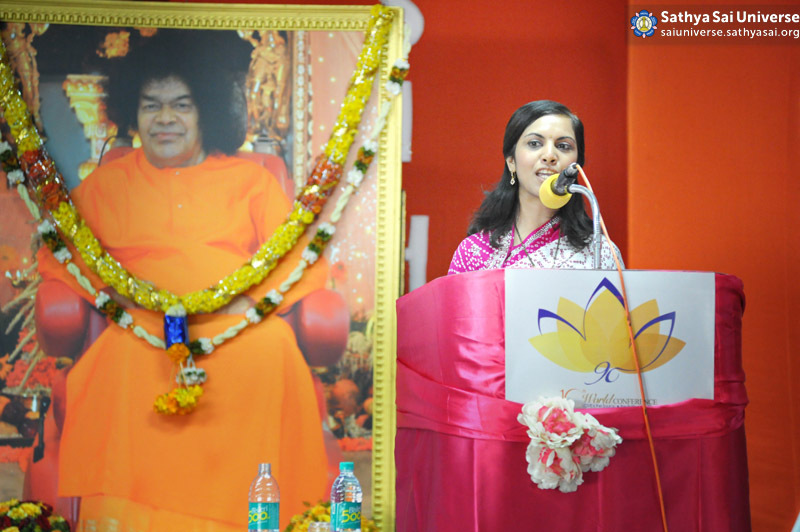 Ms. Kayoko Hira from Japan spoke candidly about how a book on Bhagawan’s life and teachings helped to redeem her life and she took refuge in Baba. She described God as a fountain of love from which anyone can draw comfort and solace. Ms. Raksha Mahtani from Spain, shared inspiring stories of her experience in teaching human values lessons to young school children. 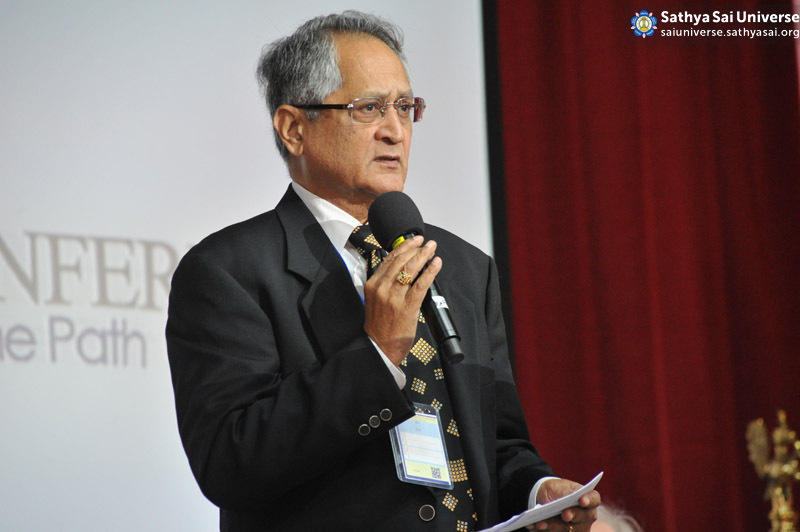 Dr. Veeru Mudigonda, a physician from U.K., spoke eloquently about how the journey of love begins with the gift of faith. He recalled his own experience when Baba cured his infant brother from a serious illness, four decades ago. He exhorted everyone to follow Sathya Sai Baba’s teachings, for their own salvation. 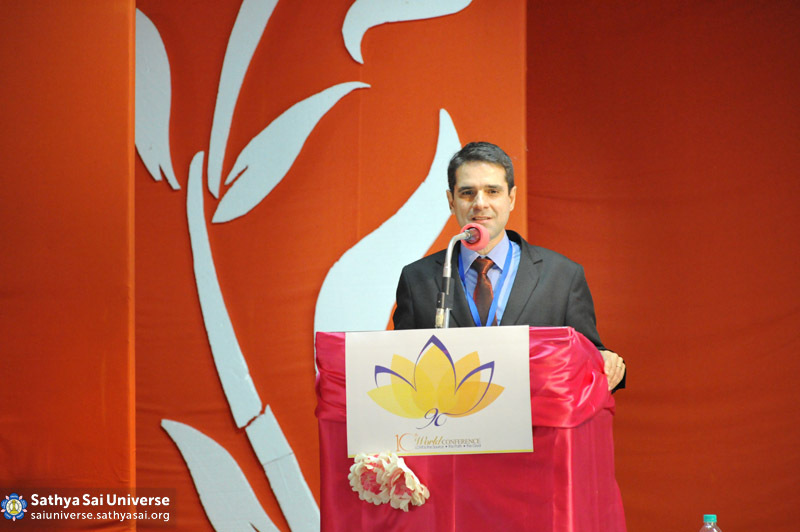 The last speaker was Mr. Sergio Espindola from Brazil who spoke of Bhisma’s devotion to Lord Krishna in the Mahabharata and how each one of us can achieve oneness with God in this life itself. A special feature of the morning programme was an hour-long session with the members of the Prasanthi Council and the directors of the Sri Sathya Sai World Foundation. 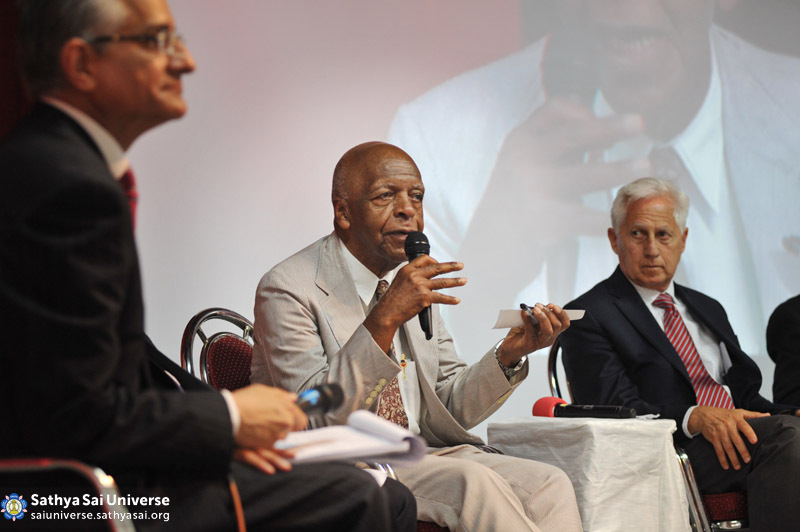 The senior SSIO leaders answered questions from the moderator on personal sadhana (spiritual practices), work of the SSIO, Baba’s teachings, and their vision for moving forward with the divine mission. A short video clip of Sathya Sai Baba’s discourse on selfless service was shown in the morning, stressing that there is no spiritual practice higher than selfless service. Devotees from Brazil entertained the gathering with three Portuguese devotional songs full of joy and divine love. The morning session then concluded with skits based on ‘Chinna Katha’ (short stories) by Bhagawan Baba, lovingly presented by devotees from Russia and adjoining countries. Nine concurrent workshops were offered during the afternoon session – as in the first day. Thus, over two days the conference delegates participated in four of nine workshop topics offered during the World Conference.